Every house needs windows and doors. Whether you are building a new home, building an addition, or replacing existing windows and doors, call J & A Construction NJ Inc for top quality products and professional installation. J & A Construction NJ Inc has over 19 years of experience installing windows and doors. 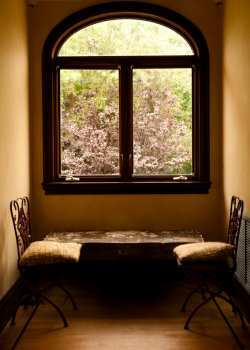 Windows provide natural light into your home. But that doesn't mean they have to be boring. J & A Construction NJ Inc has an extensive gallery of windows designed to merge function with style. Our professional window installers will precisely measure your window opening to make sure your new window is a perfect fit. We offer double and triple glazed windows for maximum energy efficiency. Our acoustic windows provide noise reduction as well as thermal insulation. All windows are designed to make cleaning easier. J & A Construction NJ Inc has been installing windows for over 19 years. Your home is worth it. J & A Construction NJ Inc carries interior and exterior doors for every room in your house. Our stunning entry doors come in a variety of materials and designs. Browse our extensive gallery to find the one that best suits the style of your home. Interior doors include hollow core, solid wood with various panel designs, pocket style, and French (hinged). All doors are professionally installed. If you're looking for patio doors, J & A Construction NJ Inc carries both French (hinged) and sliding door style. Our storm doors offer protection from inclement weather and added insulation. J & A Construction NJ Inc has been in the home improvement industry for over 19 years, specializing in professional window and door installation. Call (201) 371-6061 for quality products, service, and installation. Your home is worth it.